I was due to leave Brisbane on the 27th, but the weather decided differently. Forty eight hours of continuous rain later, I finally set out this morning. It’s warm rain here (I’ll hopefully hit the tropics in a relatively few days), but it seems to be just as effective at keeping me indoors as the colder, New Zealand version. I really need to grow a pair at some point. So my rest stretched to five nights. A nice opportunity to sit by the pool, reading and watching the rain fall. I video-chatted with my Mum, brother, sister-in-law and nephew on Christmas Day, which was lovely (and about as Christmassy as the whole thing got). I read two books from cover-to-cover, despite following my usual ‘best value’ rules (picking the two that were fattest and had the smallest print). 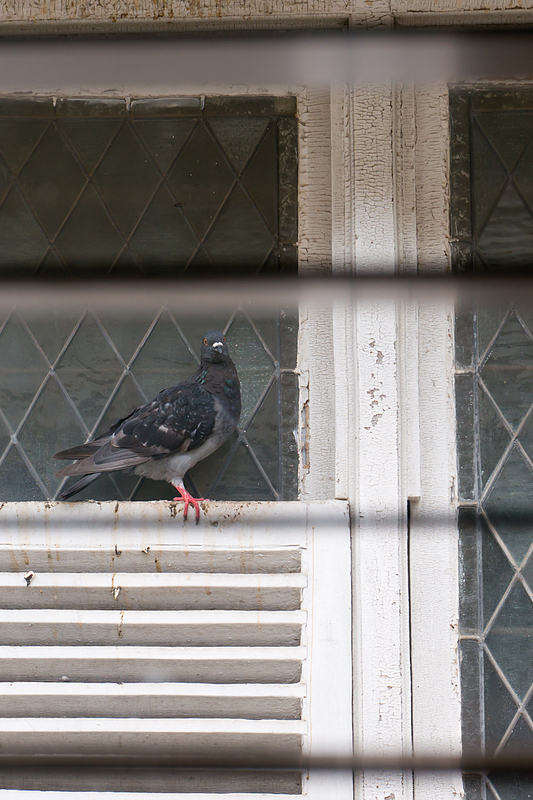 And I made friends with Brian, the pigeon who lived next door to my room. Probably still lives there, come to think of it. Now… How do you deal with an inconsistently racist granny? It’s one of those awkward social situations. Made a bit easier today by the fact that Beryl (the ‘IRG’ in question) is not my granny. And that she loved her rescue dog. I’m also making slight allowances for the fact that she was probably pushing 80. But still… It started so well. I stopped for a drink to relieve the sweltering humidity. Beryl heard my accent, and turned out to come from Greenwich, where I began (and intend to finish) my little journey. Surely, a nice little chat awaited? Beryl, however, was quick to advise me that she will never again spend time in London because “all the white people have gone”, and the country’s essentially being destroyed by (presumably non-white) immigrants. She seemed set to go on in this vein for quite some time. Anyway, I shrugged off thoughts of how painful Beryl’s irony bypass surgery must have been, and made my way out of Brisbane’s suburbs and up into the countryside. 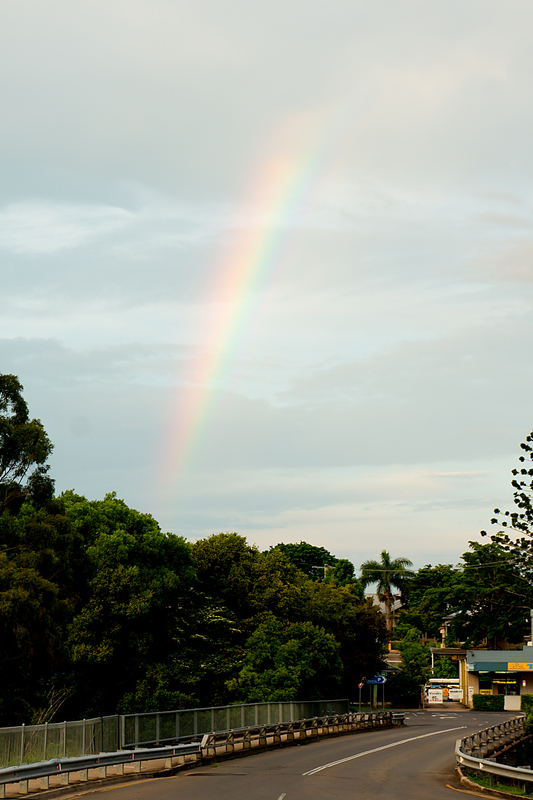 Tonight’s stop is Nambour, which is a pleasant but unremarkable town, distinguished this evening by displaying the shortest portion of a rainbow that I’ve seen from a while. Though the end of the partial rainbow is roughly where I’m staying this evening; I may spend the night digging holes to find the pot of gold. Or sleeping may be the better option. There are a few more miles to make before another stop to welcome 2015, after all. 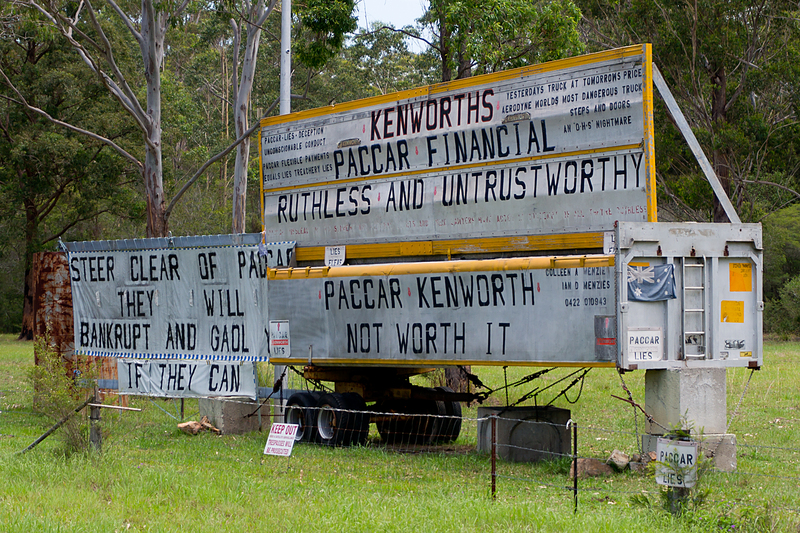 I may have been a little harsh on New South Wales, I think. It’s been a fairly eventful few days. Yesterday, I was at Australia’s most eastern point (well, a few hundred metres away, to be the star pedant that I always hoped to be). 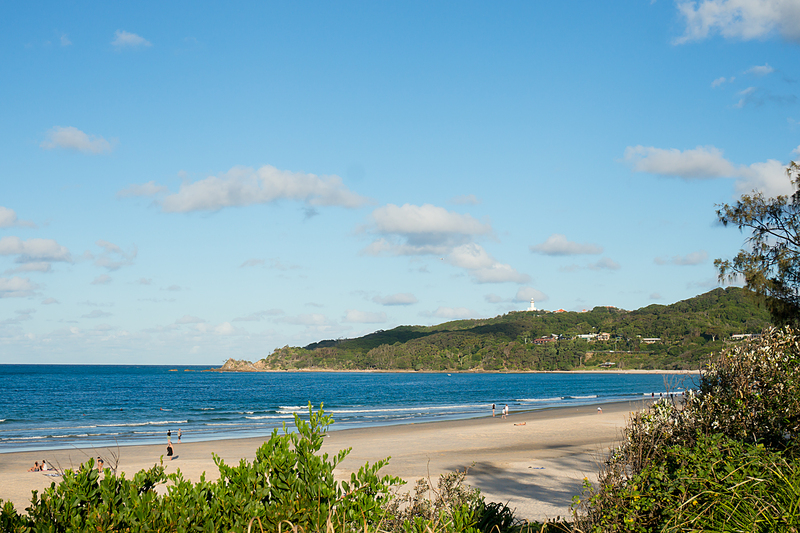 Byron Bay was rammed to bursting point with incoming backpackers, Aussie tourists and its own stock of hippies, all preparing diligently for the onrushing festive frenzy. I still can’t get my head round the fact that Christmas is right around the corner. Bah, Humbug! 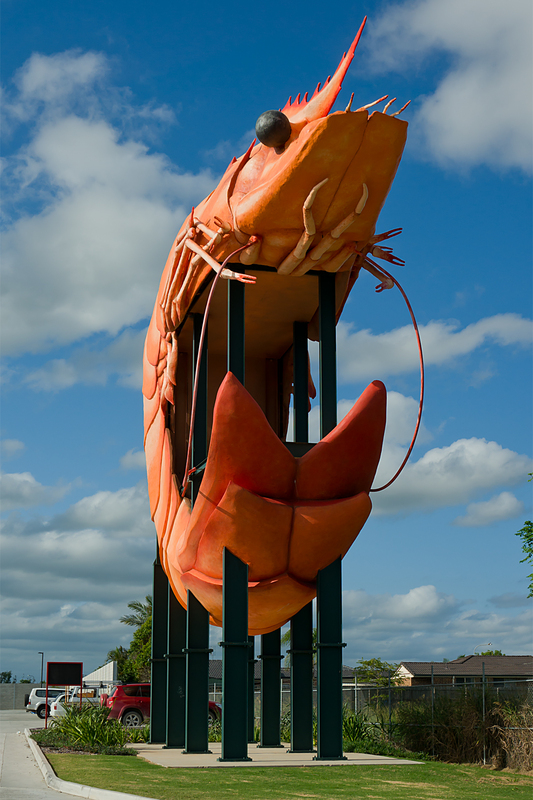 Before I got to Byron, I covered another chunk of coast, and was privileged enough to see a significant cultural icon on Sunday; the Big Shrimp of Ballina. Big Things are a bit of an Aussie tradition. There are a lot of them all over the country. I’ve already pretty much missed the Big Banana, because it wasn’t as big as I expected. I just caught it out of the corner of my eye as I whistled past on the highway a few days ago. But there was no missing the Shrimp. Bright orange, shrimp-shaped, and three storeys tall. It really is a very impressive prawn. Though why it’s in the car park of an out-of-town store is anybody’s guess. After the Big Shrimp, I was pretty close to the top of New South Wales. 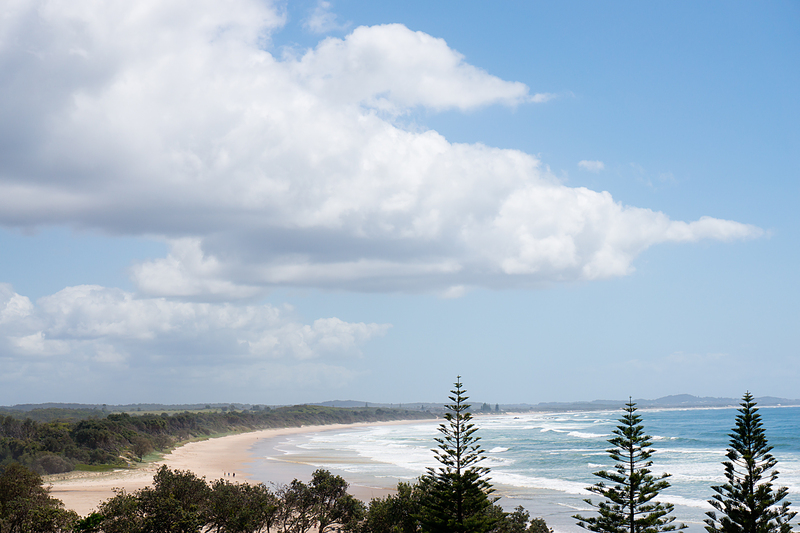 Lennox Head (above) is only 20km south of Byron Bay. It only took me an hour to ride between them yesterday morning (Monday). But it’s an entirely different world in terms of tourism. I realise it was getting dark, but it took me several minutes to get a picture of the beach with anyone at all on it. So, New South Wales got interesting just as I was about to leave. We’ll see how Queensland shapes up. 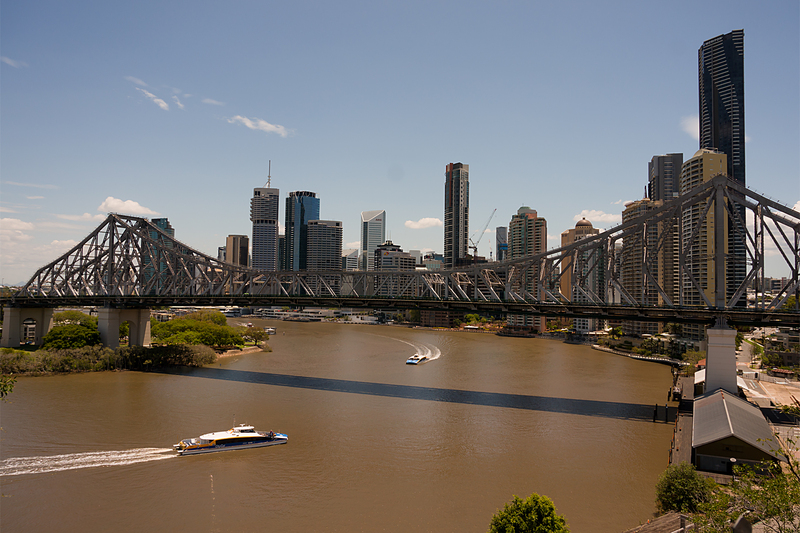 I’ve got three nights in Brisbane over Christmas, and I guess it’s fairly unlikely I’ll update the blog again until Boxing Day or so. So I hope you all have a great Christmas, and I’ll be back with more from the Beast and me soon. It hasn’t been the world’s most interesting couple of days on the bike. I had a nice rest day in Coffs Harbour, and have made it a few more kilometres up the coast to Yamba since. It’s been pretty flat and pretty warm. I’ve had one day when I felt fantastic, and one where I was not feeling up to much at all. It still doesn’t feel a lot like Christmas. So much, so standard. It’s not the most devastatingly pretty countryside to ride through, either (at least around the main highway; the seaside towns are generally very nice), and I’ve had far too much time by myself to think. Partly about all the rubbish end-of-year TV that I’ll miss out on, which will no doubt include more than a few ‘Top 20 Things That Nobody Cared About in 2014’-type shows. The result of all this pondering is the following: the top several (not sure how many until I finish writing; it’s not that well planned) signs and signposts from the trip so far. If that doesn’t knock your socks off as a surprise present for the festive season, I really don’t know what will. What do you do when you see a sign like this? It has today’s (when I found it) date on it. It’s held to the table with medical tape, which looks convincing. Do you run away squealing? Do you assume it’s just a weird joke, and sit down to have your lunch? 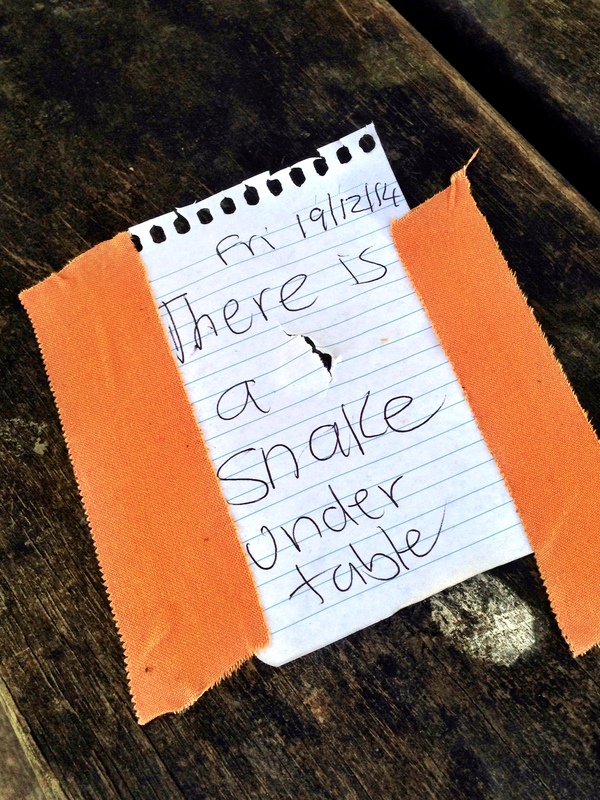 Do you cautiously examine the table from a safe distance to establish whether there’s really a snake there? This is currently the run-away winner in the ‘Not Sure How to Respond’ category. But it’s also the winner of the ‘Genuinely Useful’ category. There really was a snake under the table. 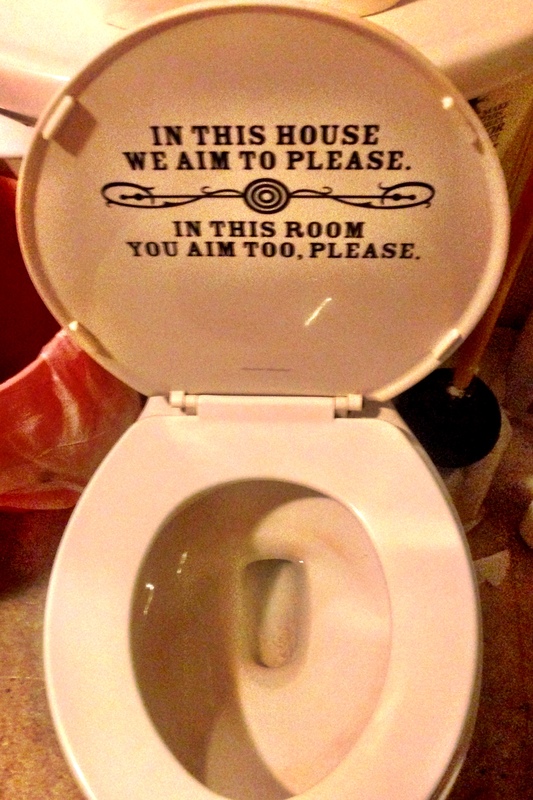 Which just goes to show how important commas can be, and is also much more elegant than a simple ‘Don’t Pee on the Floor’ sign would have been. 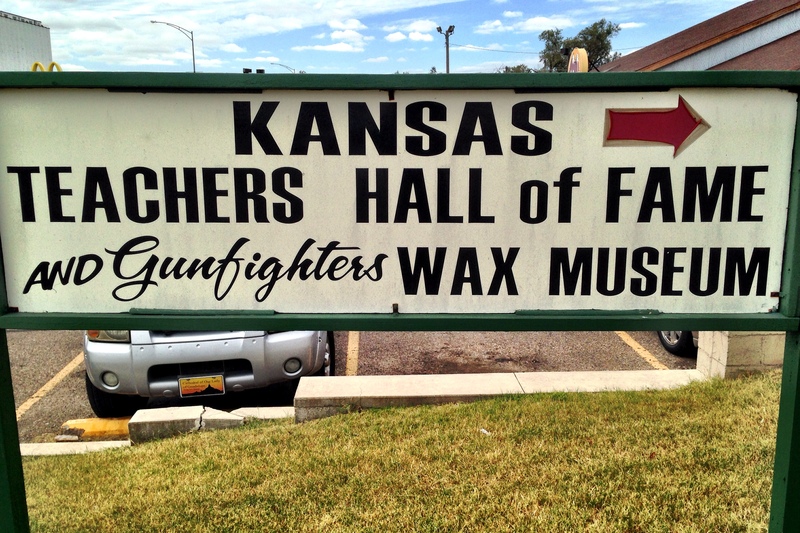 As it turns out, next is the ‘Oddest Tourist Attraction’ category. Not only a picture of the hazard, but a clear visual representation of exactly the face-plant you will perform; is that really useful? And is there more than one place in the world you could actually use it? 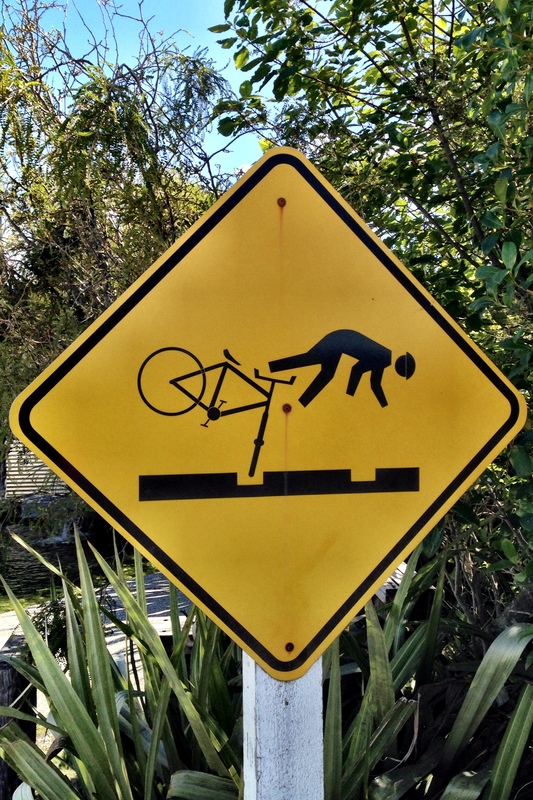 It could only really be more specific if it included a second panel with a broken cyclist and an ambulance. That’s right. Golf carts. There are millions of them in the mid-west. I’ve seen them with custom paint (imagine a golf cart resprayed as the General Lee from the Dukes of Hazzard). I’ve seen them used instead of mobility scooters by old people. And I’ve seen herds of them being them driven in laps around campsites as after-dinner recreation. 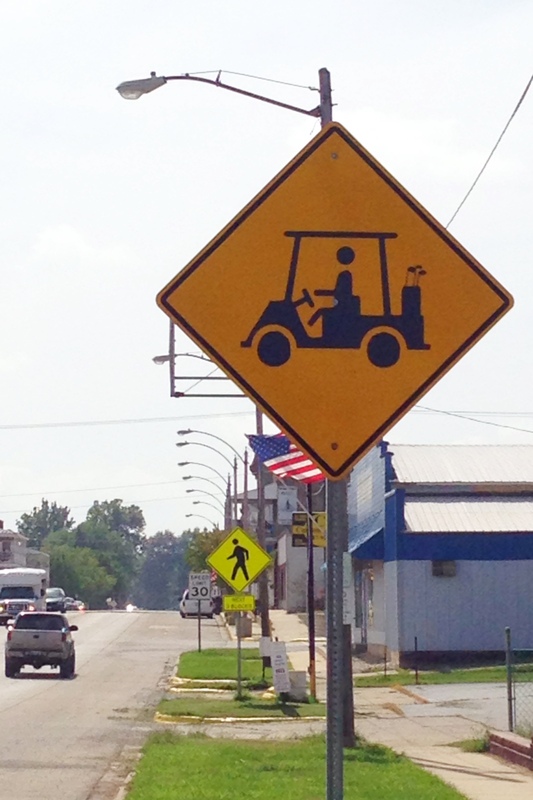 The fact that they are so common that they’ve generated their own road signs (albeit giving the slightly erroneous impression that some of them might be used to actually carry golf clubs) is truly culturally revealing. It doesn’t really need any further comment. Despite my previous words about the countryside and the slightly boring roads around here, at least I’m not sat in a box on a hamster wheel. And that’s got to be something to be happy about. I’m experiencing Southern Hemisphere Christmas Weirdness. I think it’s probably the same for everyone from the northern hemisphere. You see fat men in red costumes sweating about town in over 30 degrees C. And watch people spraying fake snow and hanging decorations while you’re busy with your second application of sunscreen, and worrying whether that’ll be enough. I guess, if you’re here regularly, you get used to it. Or if you live here, of course. But it produces an odd sense of dislocation for me. And most of the European travellers I’ve met don’t feel ‘Christmassy’ at all, either. Personally, I’m feeling more American Mid-West in August. Despite having the Pacific coast fairly close to the road for the last few days, the heat and humidity are increasing steadily as I plough on north towards Queensland. I’m having to adjust from the relative cold of New Zealand and the pleasant riding temperatures further south around Sydney. My need for liquid while riding has more than doubled in the last couple of days, and the more health-conscious Aussies don’t sell massive buckets of soda for next-to-nothing like the Americans do. Some adjustment is required. They like decorating things over here, and not just for the festive season. 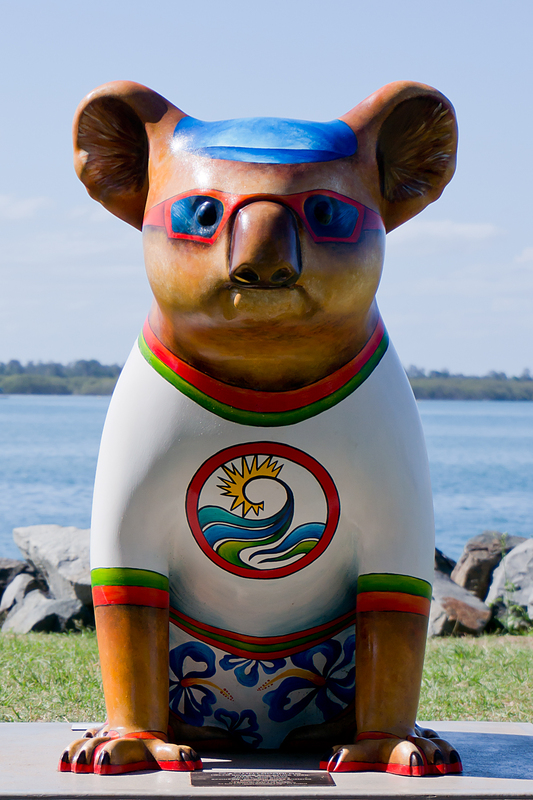 I stopped at Port Macquarie (still trying to remember that it’s pronounced ‘McQuarry’, for some reason; thankfully, most locals just call it ‘Port’, which is much easier) a few nights ago, and found that the town had developed a plague of painted koalas. I was quite excited, as these were the first wild koalas I’d seen. Hopefully, it’s a sign that my woeful luck with wildlife is on the turn. 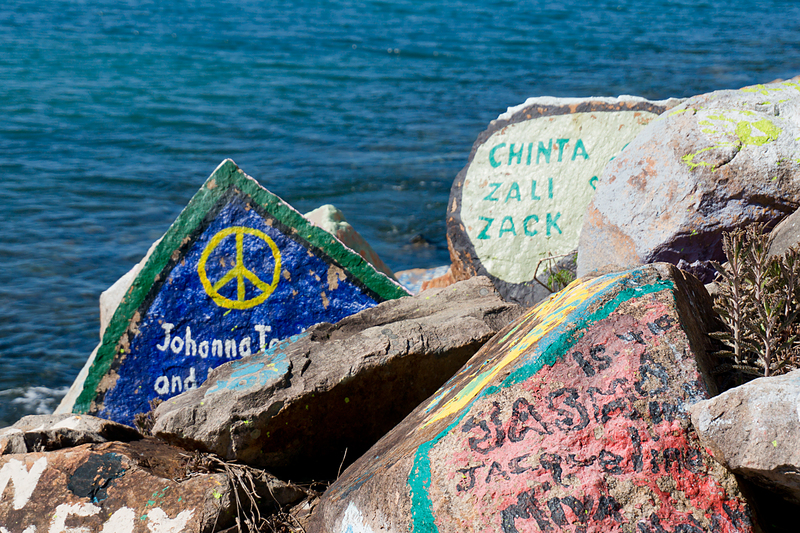 There also seems to be a developing tradition of painting rocks on breakwaters at harbours. These were at ‘Port’, again, but there are examples at Coffs Harbour (apostrophe not included, apparently), where I am currently residing, too. I suspect that they may turn out to be everywhere. 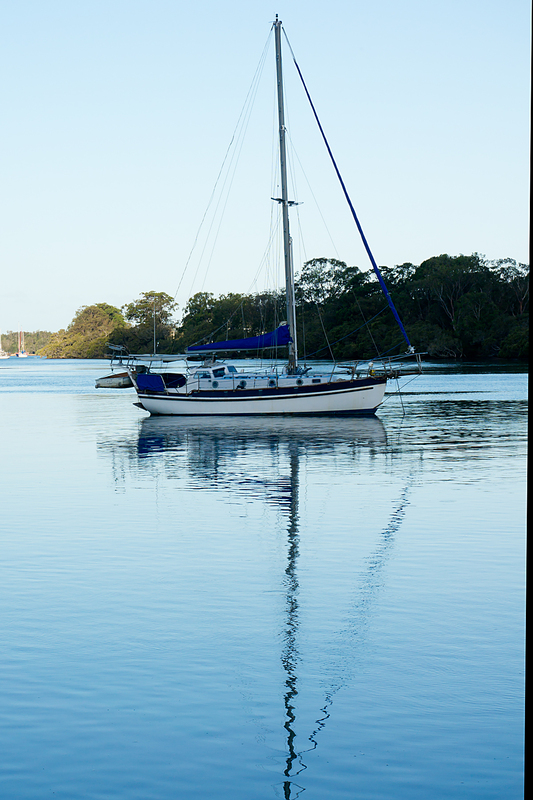 I’m resting up in Coffs Harbour today, getting ready to push on north. 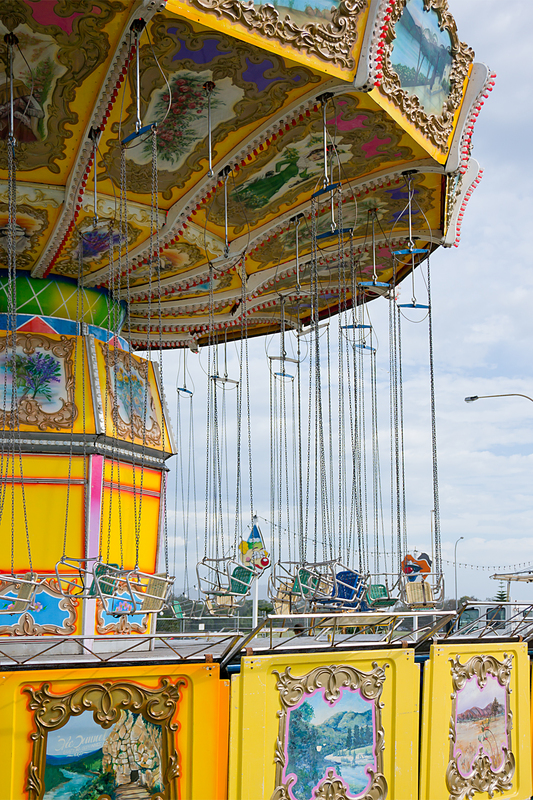 I’ll have a proper look round today (Thursday), as I’ve only seen a couple of cafes and a dead fairground so far. I’m also vaguely thinking about where I’ll actually be for Christmas; if the miles keep ticking by as they are, I’ll probably be somewhere on the Sunshine Coast, just north of Brisbane. I never thought there could be a downside to a strong tailwind, but there can. I never thought that riding through a National Park in the sunshine would be anything other than idyllic, but it was. My birthday (Friday) began well, as I woke up to a strong southerly wind, which would shove me effortlessly up the coast from Newcastle. And it did. For a while. I was so chuffed with the tailwind that I decided to push on from my (extremely unambitious) target for the day. I’d initially decided to give myself a super short day as a birthday present. But I’ve learned never to waste a tailwind, especially a gale-force one, so I sailed gleefully onwards, to catch the ferry from Nelson Bay. 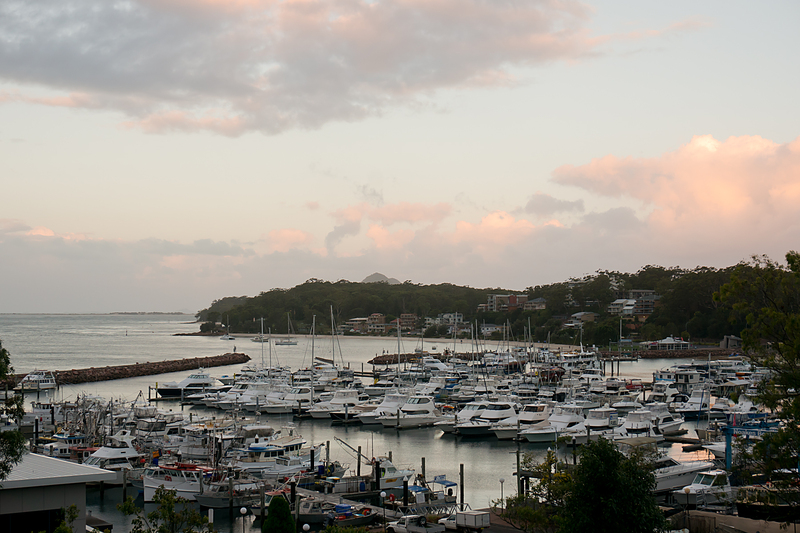 I got to Nelson Bay with twenty minutes to spare before the ferry. And it was only lunchtime. I’d be able to make ground at a superb rate. Perfect. The ferry was cancelled, due to my tailwind. In fact, all the ferries that day were cancelled due to my tailwind. Not so perfect. Still, the town was fairly large, and touristy, with a lot of yachts. 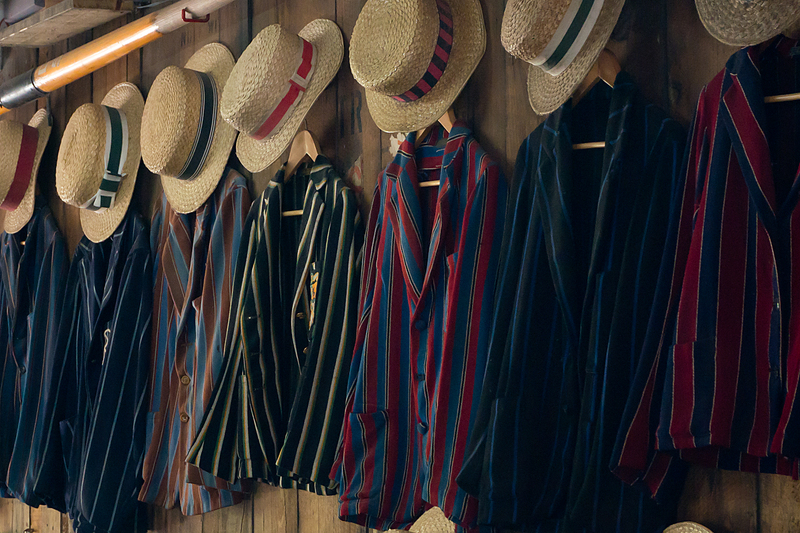 By dinner time, there was a throng of brightly (some might say less-than-tastefully) dressed tourists bouncing around. Looked like it should be a decent evening for a couple of beers to celebrate being another year older. They disappeared. Nearly all of them. Vanished. The maximum number of other people in the pub was seven. In the middle of town. On a Friday night. What manner of madness is this? On the bright side, a gentle birthday evening meant that I didn’t need to use my ‘Emergency Hangover Day Off’, which I’ve been carefully holding in reserve (think it may still come in handy for Christmas or New Year, mind you). On Saturday morning I was raring to go. And the ferries were running. Onwards! 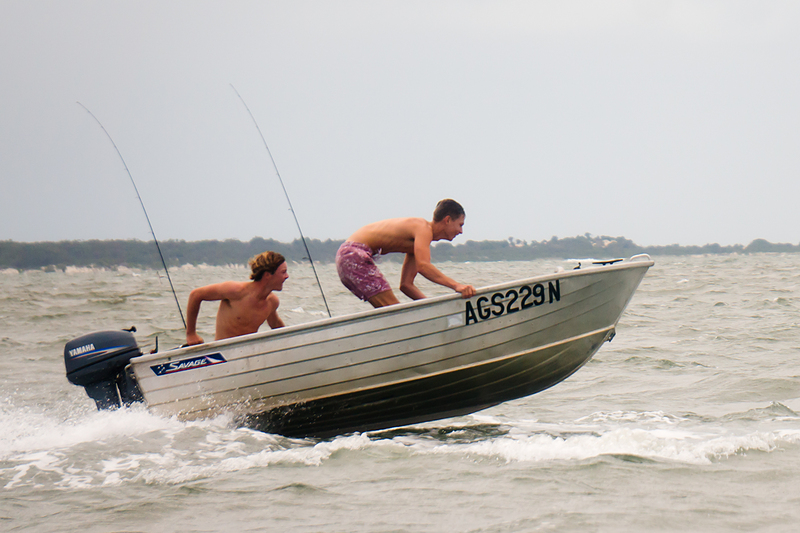 While the ferry rolled its way across to Tea Gardens, we kept a sharp look-out for dolphins. Apparently, the bay’s residential pod means that they are spotted on 95% of trips. Given my wildlife history thus far, I’m sure you won’t be super-surprised to learn that the nearest thing to dolphins we spotted was a bunch of kids in speedboats. Still, dolphins are not the highest on my wildlife-spotting list. I can live with the disappointment, as long as I can see a kangaroo at some point. Or even a wallaby. After leaving the ferry, eating a massive pie, and heading north again, I met Bruce and Marg. They are in the relatively early stages of riding around the edge of Australia, pausing only to climb the highest peak in each state. They gave me some very useful advice on surviving the outback, having just done a chunk, and also provided me with a useful shortcut through the bush, which would save me time, save me climbing, and provide the Beast with a little off-road action. It was a track. Not good enough to count as a dirt road, and closed to vehicles, but easy enough for the Beast to deal with. I even heard some panicked crashing in the undergrowth, which I took to be kangaroos legging it from my rattling, crashing, and altogether not very subtle approach. Didn’t see any, obviously. But I was getting closer, and decided that dirt roads are something I needed more of. Today (Sunday), after a night in the pleasant, but again, surprisingly empty, town of Forster, I resumed my northward progress. I thought I might just be able to make Port Macquarie today, as there was a fair chunk of fast but dull highway involved. Then I got distracted. 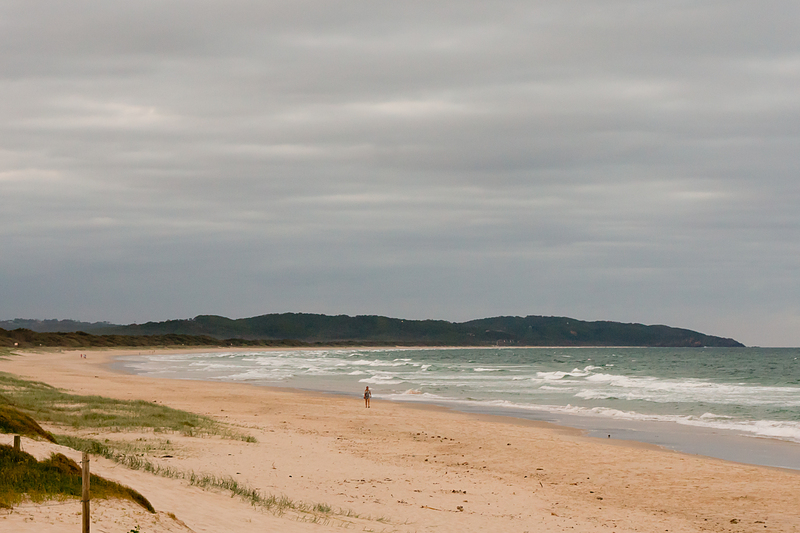 There was a dirt road through Crowdy Bay National Park, which would take me to Laurieton, just a short hop from ‘Port’. 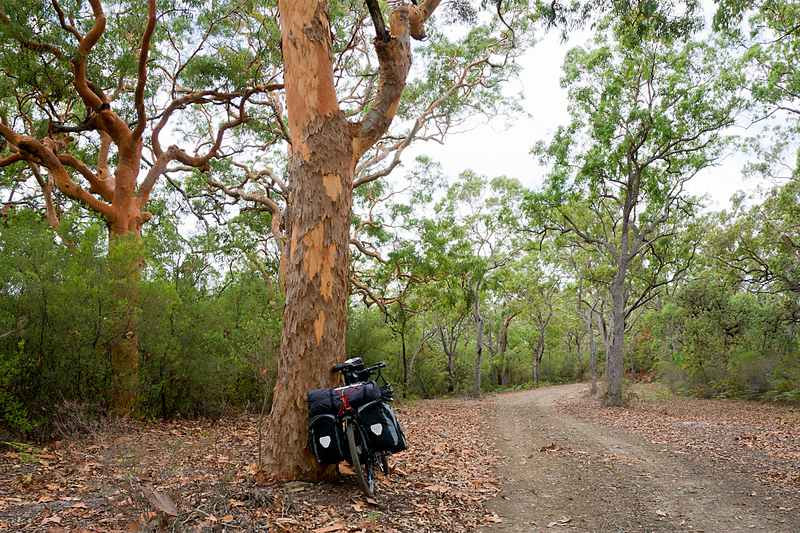 Another 25km of quiet, pleasant meandering for the Beast, and another chance to nail that elusive first marsupial. Or, as it turned out, a chance to get a real taste of Australia. It tastes gritty, and slightly metallic. To round things off, the hostel which the internet had advertised in Laurieton doesn’t exist. There is some debate locally about whether it ever did. 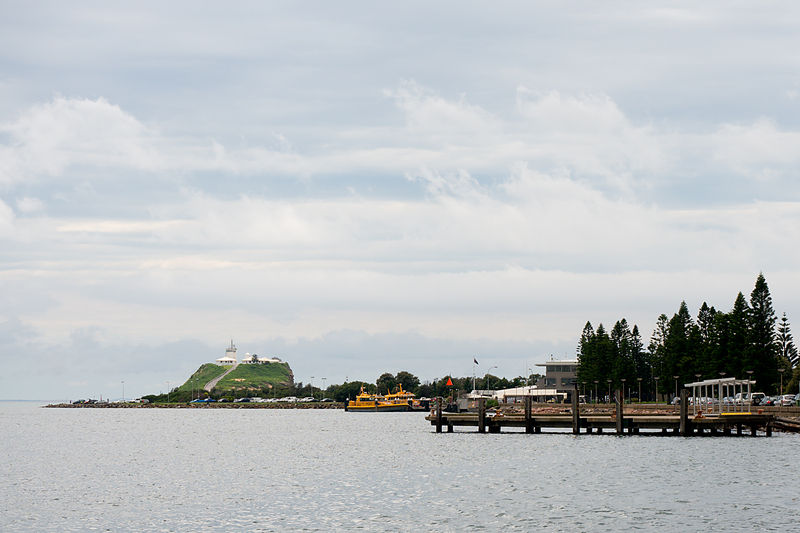 It is, however, a thoroughly agreeable town with a lovely harbour. And a paragliding school who were kind enough to take me in for a small fee. As I try to wash the flavours of Australia from my mouth with lashings of ginger beer, I think it’s fair to say that I won’t be rushing back to the dirt roads. Anyway, I have a hot tip that golf courses are the way to go if you want to see kangaroos. It took only a short ride through Sydney to work out that I’m not in New Zealand anymore. The volume of traffic was a clue; I think I’ve seen more cars in the last three days than in the whole six weeks in NZ. 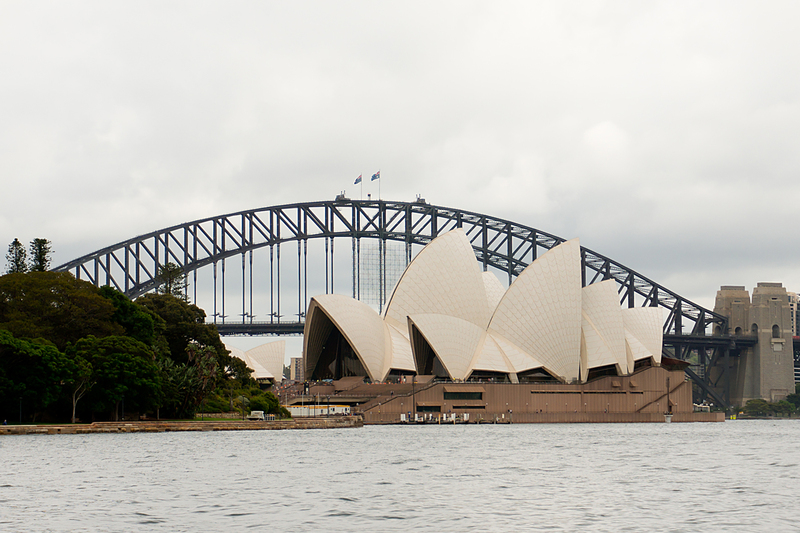 Also, someone had built a fairly famous bridge and opera house in the middle of town. There may well be bridges and opera houses which are famous in NZ, but probably not in this league. But the real giveaway was the cyclist I met while taking hero pictures of the Beast, which was quite pleased with itself after cruising across Sydney Harbour Bridge. Where Kiwis just tended to ask where I was going, and commiserated about the weather, this guy really gave me the inside track on Australia. Depending on how it goes, I’m going to die of thirst in the outback, get hit by a road-train (or just a truck with an amphetamine-crazed driver), be attacked by spiders, snakes and crocodiles (possibly all at once, by the sound of it), or be abducted and murdered by one or more of the myriad desert weirdos who haunt the Northern Territory. This was all imparted to me in a slightly hysterical voice, and with the earnestness of a man who clearly believed I was entirely nuts to be even considering riding to Darwin. I’m still not sure whether he was trying to wind me up, or whether he actually believed all this, erm, stuff. I’ve checked with a couple of other (saner-seeming) Aussies, one of whom thankfully came along immediately afterwards. The general consensus seems to be that he was probably being serious, but was clearly an institutionalised townie, and not a Proper Aussie Bloke. The general consensus also seems to be that I’d be very unlucky to have more than one of these disasters befall me. Which, of course, is a massive relief. I think. 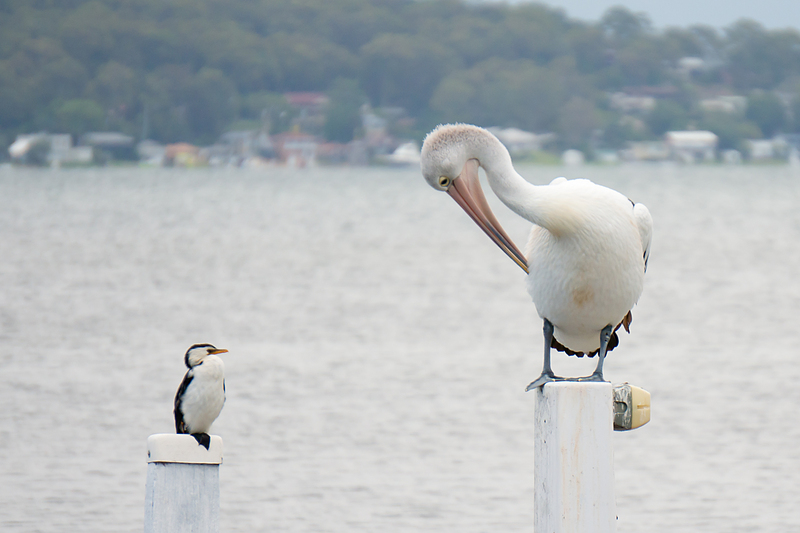 The most dangerous wildlife I’ve seen so far were some giant pelicans, which were parked up by the side of the road between Swansea and Newcastle. OK, OK. By a lake near the road. They didn’t seem especially interested in attacking me, so I’m taking a fairly relaxed view of Australian dangerous creatures so far. And, much though I hate to admit it, Aussie drivers seem to be less spooked by bikes, and keener to give cyclists space than in NZ, so I’m not over-worried about the traffic either. There are still a few concerns, mainly to do with time. I’ve only got three months to get to Darwin before my visa expires (when did Brits suddenly start needing visas anyway?). And Australia is enormous. Sydney to Darwin is a significantly longer ride than Toronto to San Diego, which took me just over two months. The weather may play a role in slowing me down, too. I’m back in the all-too-familiar hostel window / rain scenario again today (Thursday), stuck in Newcastle. Too many rain days (and I’m very much in storm season at the moment) would quickly push me behind schedule, but there are worse places to be stuck, I suppose. I’m also likely to lose a bit of time in the next few weeks, with my birthday, Christmas and New Year to fit in. Any (or more likely, all) of these will probably cause a fairly slow start to the riding here to turn into a very slow start. So there will be some time to catch up somewhere along the way. It might be raining today, but it’s not cold like it was in NZ, which is a big plus. But the heat will build as I head north towards the tropics, and may cause problems in the outback. 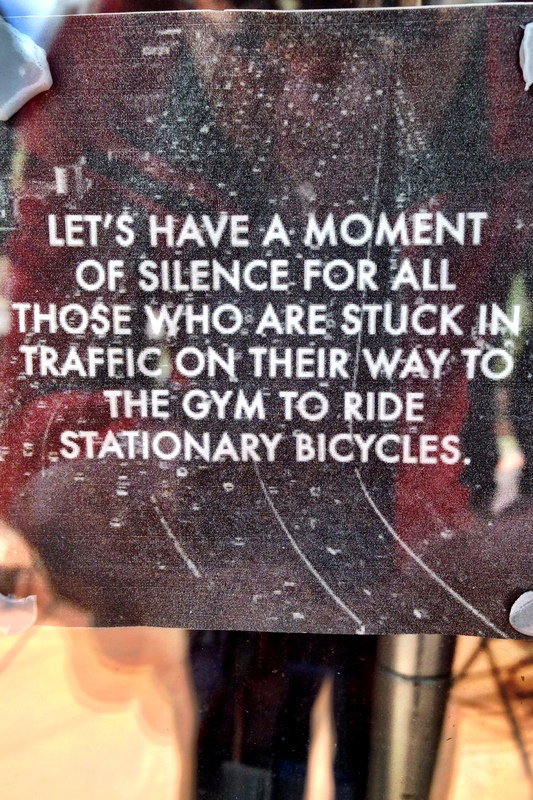 I’ve spoken to a few people (not of the hysterical persuasion), who say that it’s a tough ask on a bike. Although I’ve also now met four bikers who have ridden it (albeit in the opposite direction), so it clearly can be done. So. Australia. Well, so far, it’s big, and not especially dangerous. It has fish and chips, pies and cake. It has decent drivers. And it has lots of pretty spots along the coastline. How long it will remain so benign, I don’t know. How long it will be before I’m flapping about time and / or the weather also remains to be seen. And how many of the many potential catastrophes outlined above will actually happen is yet another unknown. Bye, bye, New Zealand. Hello, Australia! It’s summer again. After the cool, damp and beautiful interlude of New Zealand, I’ve landed in Sydney. Back into high 20s – early 30s C (though at least I’ve missed the 40C temperatures of a couple of weeks ago). Back into humidity. And back into thunderstorm season. It feels a bit like a flashback to the American mid-west. Though it looks a little different. And just like NZ, there are pies here. The last few days to Christchurch were fairly uneventful. I found probably the busiest and flattest road in the country, and ploughed along it for a couple of hundred kms. Apart from a few raindrops and a few more brushes (not quite literally, thankfully) with NZ drivers, nothing too exciting occurred. I did meet yet another cyclist who put my trip in perspective; a Frenchman in (I guess) his sixties, who’s been on the road for five years, across four continents. Pretty remarkable. More surprising, is that he’s planning to stop in a few months. I guess that’ll be a difficult transition for him; I worry a bit about what I’m going to do when I finish, so it’s hard to imagine what it’d be like after five-plus years. 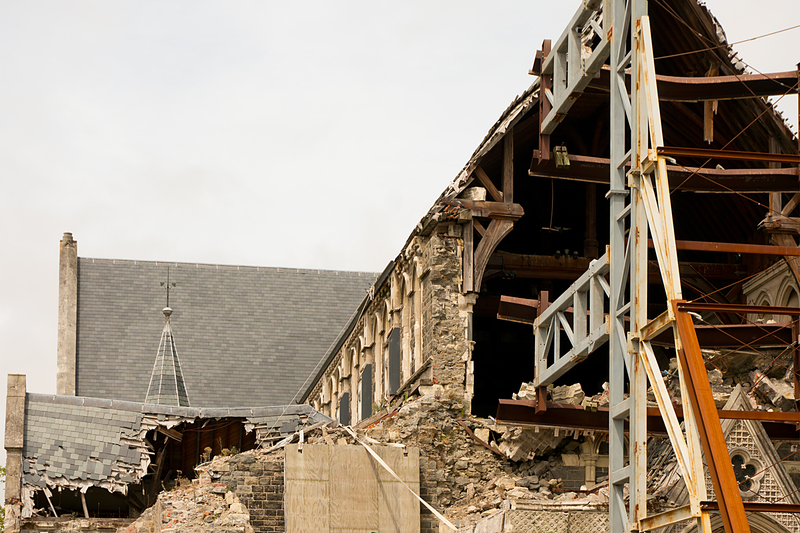 Christchurch is still a city in transition, rebuilding itself after severe earthquake damage. It feels a bit odd, as the city centre is essentially a massive building site, with the heavily damaged cathedral surrounded by empty lots, diggers and cranes. 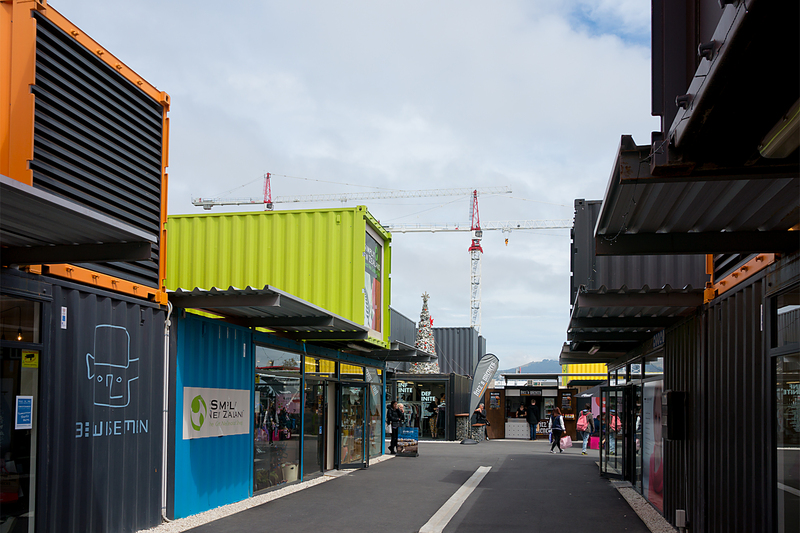 A few hundred metres away, there’s a temporary shopping centre built out of shipping containers; an ingenious solution to the devastation caused to the city. And then another few hundred metres takes you to the older area of town, which looks almost quintessentially English. There are a bunch of Victorian buildings, which seem to have escaped the earthquake damage almost completely (along with most of the suburbs). There’s the River Avon running through parkland, and there are punts on the river, just as you see at Oxford or Cambridge. The contrast with the central district is astonishing. Hopefully, as time and rebuilding go on, the city will reintegrate itself, but I suspect it’ll be a few years still until it all fits together seamlessly again. On Sunday, I was outside Christchurch airport trying to pack the Beast into a slightly-too-small box, which was continually trying to blow away in the blustery wind. Eventually, I managed to squeeze it in, and only had to pay 90% of the cost of my own ticket to get it on the plane. I wouldn’t necessarily recommend flying with a bike as a stress-free experience. In the end, the Beast did get on the plane, and the plane performed as expected. 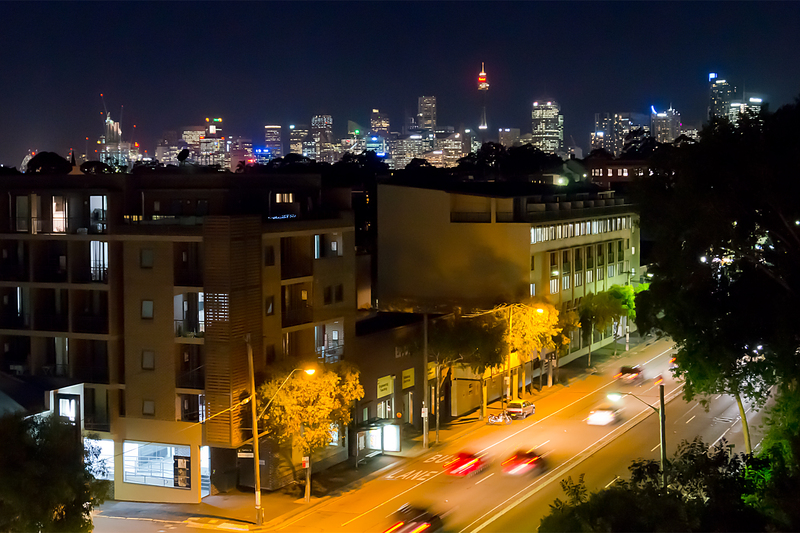 We arrived in Australia on Sunday evening, stepping out of the air-conditioned airport into the muggy summer night. A day spent rebuilding the bike on Monday, as well as patching a damaged pannier (exploded mosquito repellent, plus Ortlieb pannier, equals chemically-melted plastic – ouch!). 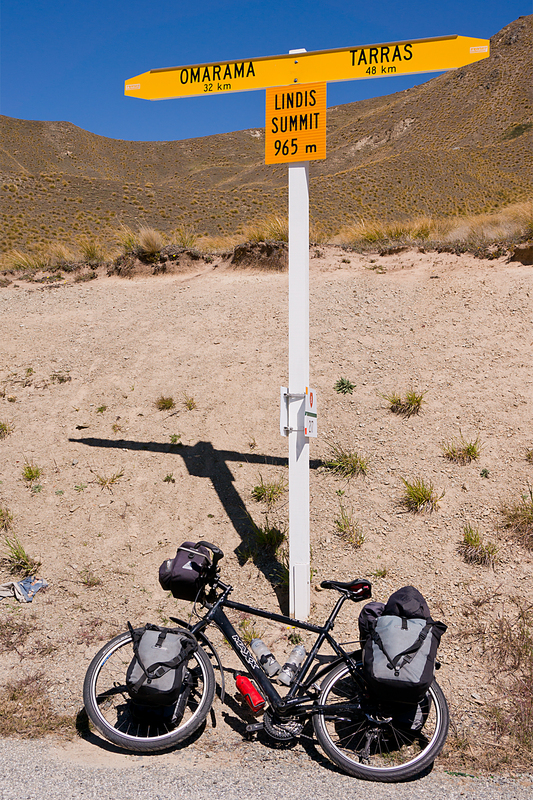 Four long-ish days to Christchurch, two fairly hilly, two fairly flat. And a flight to Sydney on Sunday evening. I did the sums. It was only Monday morning. After my escape from the rain on the west coast, I reckoned I deserved a day off at Wanaka. It was a bit of a risk; if the weather wasn’t better this side of the mountains, I might end up needing a train or a bus to Christchurch. I might still need a train or bus, as there are still a fair few miles to go from here in Geraldine. But the weather’s been better. Mostly. I’ve ridden along canals in the sky. And Wanaka’s really pretty in the sunshine. The shortest way to Christchurch was via the lakes, just the other side of Aoraki / Mount Cook from Fox Glacier, where I spent so much time last week. First, there was the small matter of dragging the Beast and the bags up Lindis Pass, to my highest point in New Zealand at over 900m. As you can see, the weather remained dire, but I bravely soldiered on. With Lindis pass behind me, the way to the lakes was open. 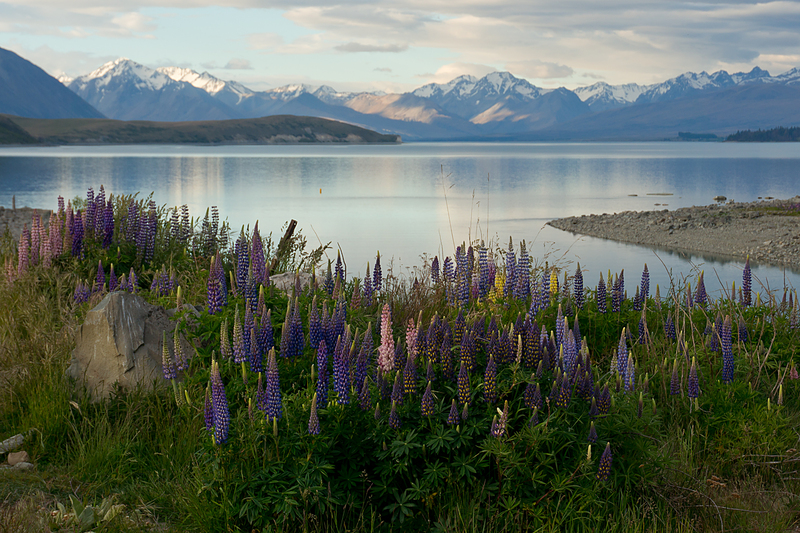 First Pukaki (very pretty, despite a name which must imply the opposite in pretty much any language), then Tekapo. And just before Pukaki, I hit the first of the canals in the sky. The canals run across many kilometres of the alpine foothills, generating hydro-power from the meltwater lakes, and providing a home for salmon farms. I don’t know how many canals there are in the world at over 750m altitude, but I’m guessing not that many. Between the lakes, the road along the canal provides a nice traffic-free route through the hills for pedestrians and cyclists. Still, once up on the trail, it was flat (or, at least, so gently uphill that you barely notice), and with a beautiful backdrop of snow-capped mountains. And no traffic, which made for a drop in stress levels. 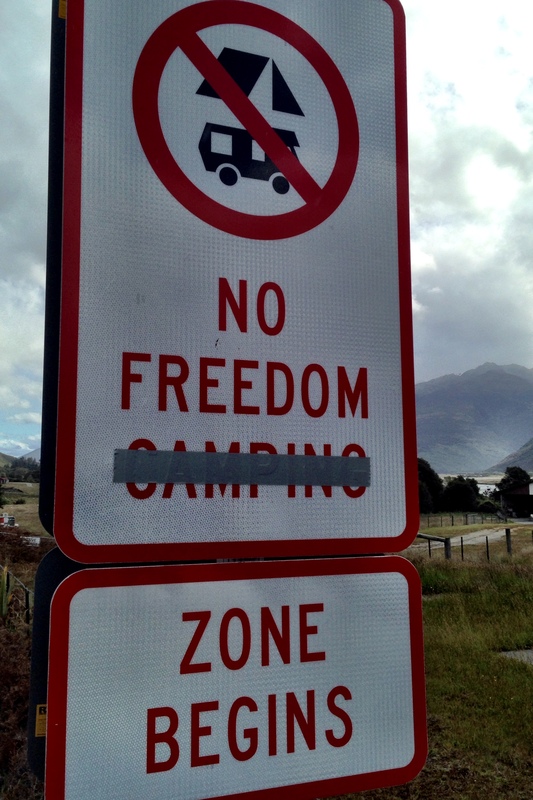 Until I arrived in Lake Tekapo village in the drizzle, only to discover that it was pretty much entirely booked out by hordes of Chinese tourists. Having bravely borne a good, oh, 15 minutes of stress trying to find somewhere to rest my tired head, I finally collapsed into a super-grotty room. And while wandering out to get some food a little later, I understood why the place is such a busy stop on the tourist trail. It’s really stunning as the sun goes down. 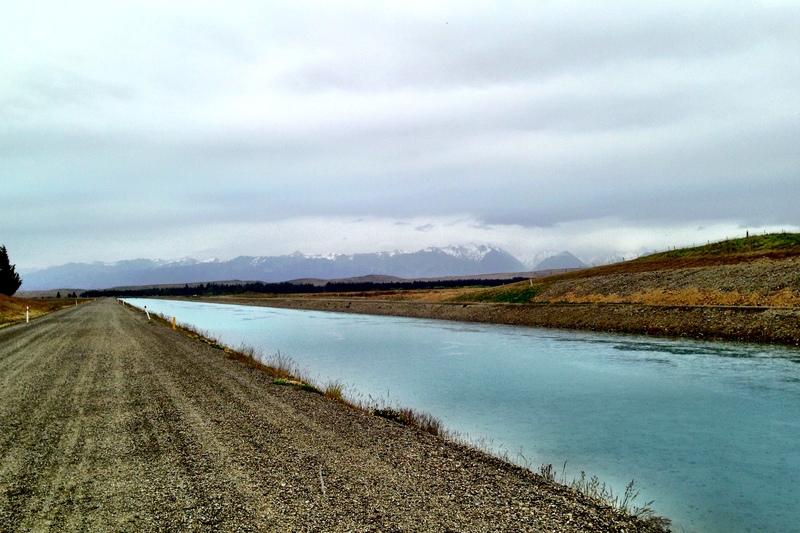 From Tekapo, it was an easy 90-ish km (55 miles) downhill to Geraldine. On paper. The kiwi weather, with its typical capriciousness, decided otherwise, as the wind flipped through a full 180 degrees in the time it took me to drink a coffee. A decent tailwind, which had finally pushed me through the 40mph (64 kph) barrier just a few minutes earlier (I’ve been ludicrously close to the mark several times on the trip, but a tailwind was clearly the missing ingredient), suddenly became a fairly evil headwind, which made the last half of today’s ride a little tiresome. Still, I’ve managed three consecutive days on the road without getting more than slightly wet. That’s a first since I arrived on South Island. I’ve also charged through the 9000km mark. And there’s a chance that I might get the tailwind back for the long run to Christchurch tomorrow (Friday).